jap sj/sammy wiring diagram, drawn up by Corey "dice" Daniel's off zuwharrie. 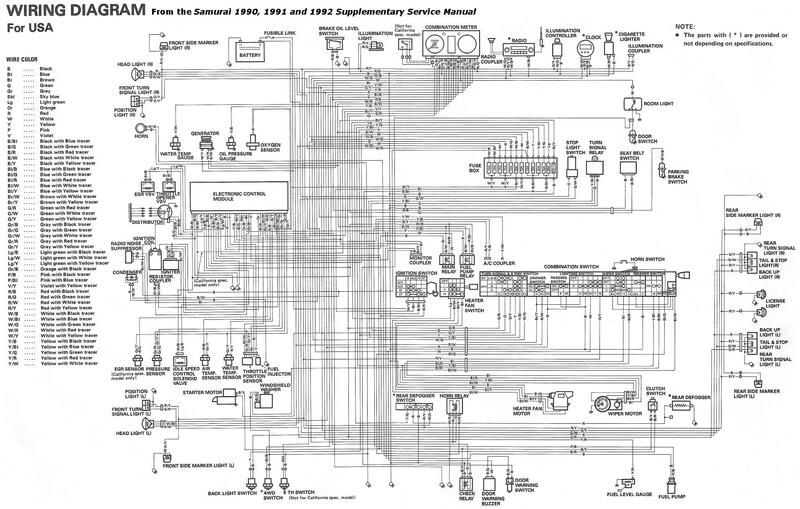 Useful wiring diagram. Do you have one with the rear wiper motor and switch as the one I have found in my electronic haynes manual is not the best resolution scan, meaning that I can't see what colour wire goes where. Don't mind if it is a black and white copy as long as i can see what the colours are. 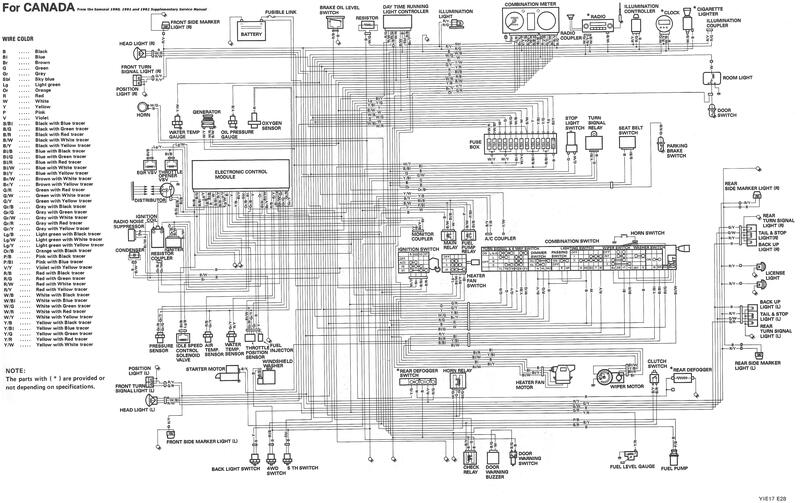 I'm not sure if i do, just had a look through the other wiring diagram I have saved on my pc and i cant see a circuit for the rear wiper? Dam thats a pain thanks for looking though, I will try and work it out with a meter and see what I can get working. I found this for the vitara. Wouldn't expect the sj to be much different. Hope it's some help. I have at the switch, blue/back, blue, pink and white. Have worked out that the pink wire is the washer motor, so thats not a problem. I think the white wire is the trigger for the wiper and one of the other two wires is the permanent power to the motor. When i put a meter on the wires to try and work out which one is live with ignition on, i get a connection between both the positive and negative of the battery for the (i think blue and black wire). If someone has a rear wiper switch on their SJ a picture of the wires connected to the switch would probably sort the problem out. 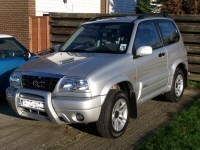 Darrell wrote: I found this for the vitara. Wouldn't expect the sj to be much different. Hope it's some help. Thanks Darrell for the diagram. It allows me to see what goes where, so hopefully with a meter and some working out whats what I can connect my switch up properly. Will let you know how I get on. Awesome, cheers Darrell, one of our members from Spain found it for me. I spent a good few hours cleaning up all the linework myself so I dread to think how many hours in total its had spent on it now. There is one fuse that was on the crease between the 2pages that I just need to work out where the wire goes and I think its finished! Oh and what program do you always use to add the txt?